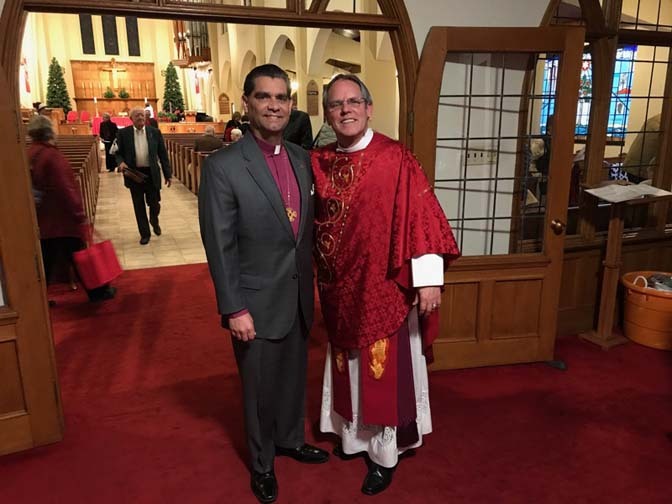 Bishop Gene Savoy and his wife Radheka Patel Savoy attended the installation of the dean at Trinity Episcopal Cathedral, the Very Reverend Dr. William Stomski, on December 9, 2017 as well as the dinner reception in his honor. The International Community of Christ and Trinity Episcopal have a long relationship together going back to the 1980s with the formation of the interfaith movement in Reno. Rev. William is a member of the Nevada Interfaith Association and is on the Board of Directors of the organization.